Offering flexible pricing and service options to enhance your operational efficiency and safety while staying within your budget. 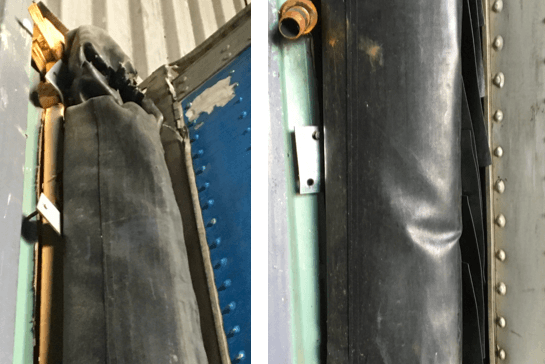 With over 15 years of experience in the field, Northern Dock Systems has consistently delivered prompt and professional emergency services, equipment recommendations and proactive Preventive Maintenance Programs to companies throughout Canada. Standardized process: We provide an easy to follow, standardized processes across all your Canadian operations for consistent service and installation support. Single point of contact: A dedicated National Account Manager will be your single point of contact to oversee all projects. 24-hour support: Round-the-clock emergency phone support is available by calling our toll-free line: 1-866-601-1758. Working within your budget: We offer detailed invoicing and expense tracking with asset management, outlining every product and service per location. Optimized workflow solutions: Our National Services team utilizes SAP, Officetrax and Centah software to enhance your customer experience with us by optimize workflows. Quality control inspections: Thorough quality control inspections are frequently done at random to ensure all technicians continue to deliver great service. 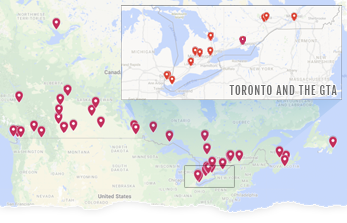 Northern Dock Systems uses zoned dispatch locations across Canada. 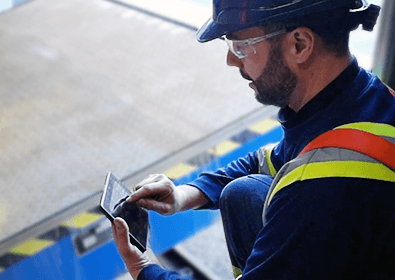 Using zoned dispatch locations allow technicians to reach your site faster during emergencies, preventing prolonged downtime and unnecessarily high travel costs. Our service vehicles are fully equipped with all the tools needed to complete any on-site job from start to finish. In addition, each technician is equipped with a full, online reference library that includes product part numbers, service manuals and troubleshooting guides for all Northern Dock Systems’ and competitor’s products. 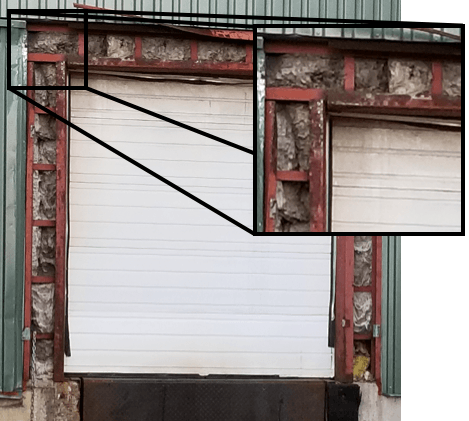 Step 1 – Conduct a Needs Asssessment: Northern Dock Systems’ technicians use a multi-point Needs Assessment checklist to outline any inefficiencies or risks associated with your equipment to help you prepare for facility audits. All Needs Assessments are highly customized to meet your specific operational needs. Step 2 – Onboard all resources: Following the Needs Assessment, our technicians are well-informed of your operational requirements and work on a plan to implement any services or new equipment installations you may require. 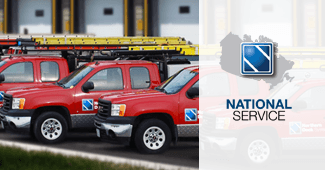 During this time, our dedicated National Service department comes up with a 90-day plan for your business’ key locations and allocates the necessary field resources by location to save you money on dispatching costs. 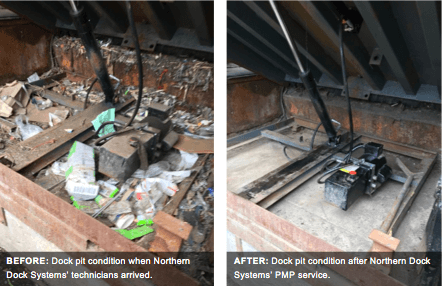 Step 3 – Execution and regular follow-up: Whenever any maintenance work is completed, Northern Dock Systems’ technicians train your staff on how to operate any new piece of equipment or how to better maintain existing equipment. Our service department maintains periodic communication via email with the headquarters of your company to keep them informed about any opportunities for improvement, upcoming services and services that have been completed. Each technician is equipped with a full, online reference library that includes product part numbers, service manuals and troubleshooting guides for all Northern Dock Systems’ and competitor’s products.